Human Rights Watch, an independent human rights organization, is calling on the Philippine Government to reject death penalty. 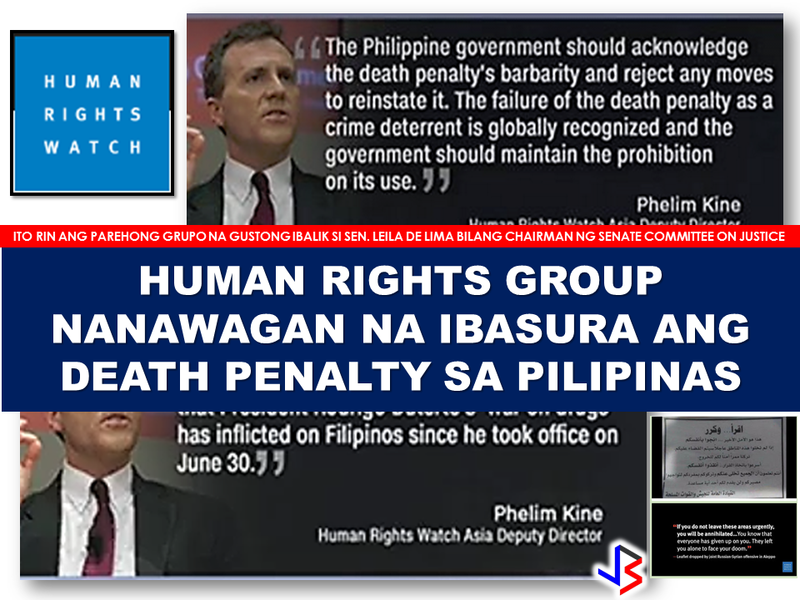 HRW Asia Deputy Director Phelim Kine said that: "The Philippine government should acknowledge the death penalty's barbarity and reject any moves to reinstate it. The failure of the death penalty as a crime deterrent is globally recognized and the government should maintain the prohibition on its use." 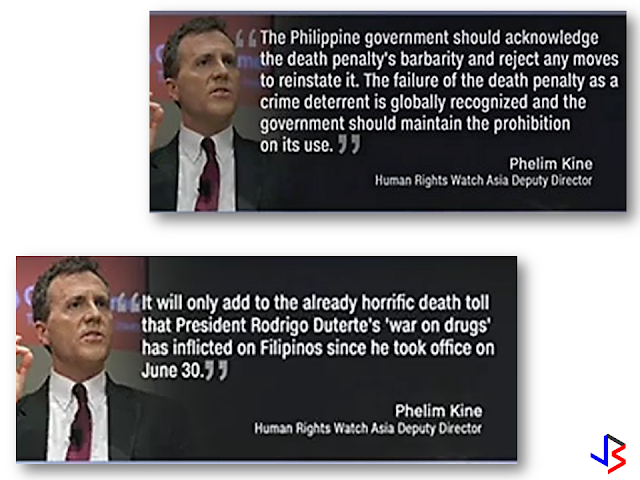 "It will only add to the already horrific death toll that President Rodrigo Duterte's war on drugs has inflicted on Filipinos since he took office on June 30." Mr. Kine added. 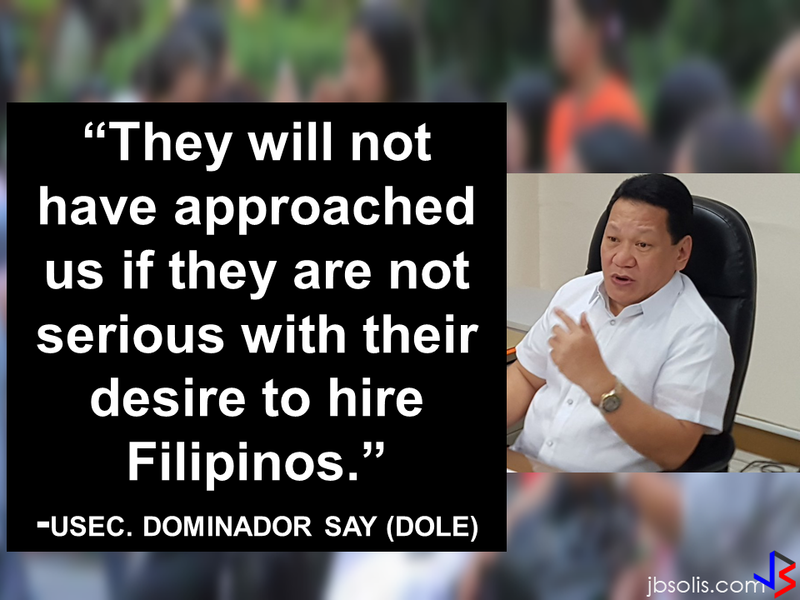 However, the House of Representatives headed by House speaker Pantaleon Alvarez has issued an statement to pass the bill reinstating the death penalty before Christmas. Meanwhile, HRW is the same group that call on reinstatement of Sen. Leila de Lima after she has been ousted as a chairman of the Senate committee on Justice and Human Rights and replaced by Senator Richard Gordon. 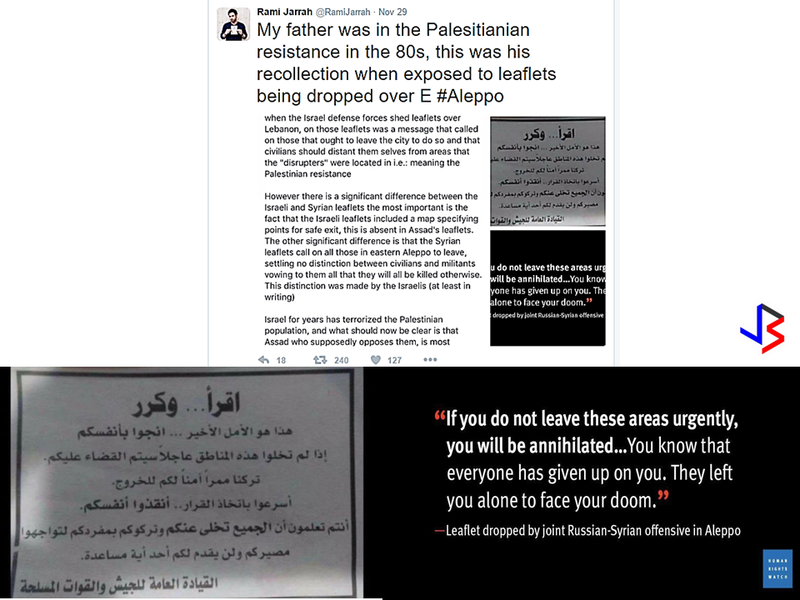 This same group has been involved in an issue of manipulating the news by doing "mistranslation" of the leaflet from the Aleppo government forces. The report from www.globalresearch.ca said that the group Human Rights Watch deliberately mistranslated the Arabic text on the leaflet. The substance of the message is turned upside down in the English translation. It does not mention that the government is providing exit and safe passage to the Al Qaeda rebels. The photo was originally posted by Rami Jarrah on twitter. 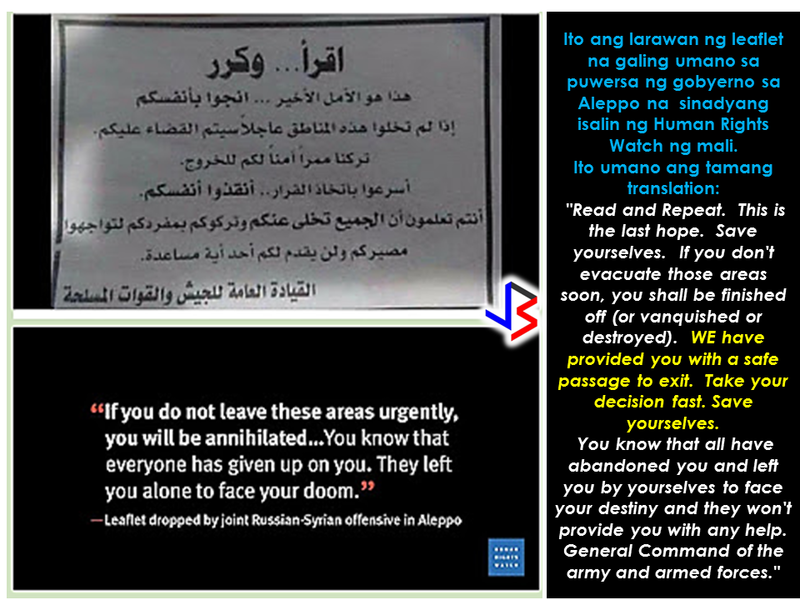 The leaflet that contains the arabic text and the translation made by Human Rights Watch. The translation of the arabic text was provided by As'ad AbuKhalil. A post script on the article reads: "The word annihilation is very specific and has an equal Arabic equivalent "Ibadah" which does not appear in the original Arabic. "